Forte black diamond ring shows strength and structure. 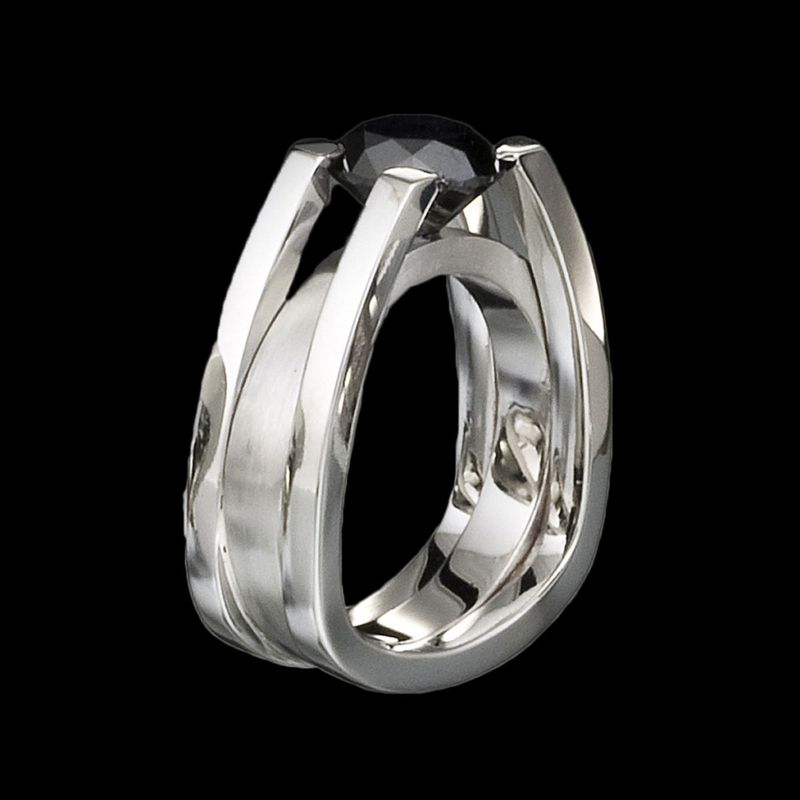 This architecturally inspired ring suspends a stunning black diamond between arms of brushed and high-polish white gold. To purchase, call us at (949) 715-0953 or use our contact form below.